Oracle Open World 2011 was super exciting event for Oracle announcements - Larry Ellison announced Oracle Social Network on the Cloud. This is very important for Red Samurai, because we are inline with technology trend - Social Enterprise. Listen our podcast with Oracle - Social Enterprise: Live Podcast at Oracle OpenWorld as I discuss how Red Samurai is helping Oracle WebCenter customers experience the social enterprise with extensions Red Samurai has developed for Oracle WebCenter social business tailored use cases. 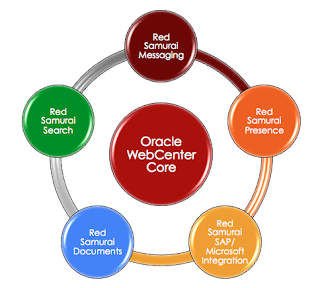 Stay tuned - soon we will release videocast for Red Samurai Business Contextual Messaging extension, implemented on top of Oracle WebCenter Services API.